What’s been happening to that good old-fashioned American way to sell your home — doing it yourself, with minimal or no commission costs? If you believe new data from the National Association of Realtors’ Buyer/Seller survey, for-sale-by-owner transactions — popularly known as FSBOs (“Fizzbos”) — appear to be on the same trendline as buggy whips: They’ve just hit their all-time low of 7 percent as a share of total home-sale transactions. They were 8 percent the previous year. Both numbers are down from 15 percent in 1981 and continue a slow but steady decline. So FSBOs are fizzling. But is that the full story? Or is something else happening that’s a bit more complicated? Though the NAR survey’s 7 percent figure gives no hint, FSBOs mainly don’t fit this traditional pattern anymore. Owners who previously would have done a pre-internet, old-model FSBO to save money now opt for a multitude of approaches, most of them involving some form of reduced commission paid to a licensed real-estate agent or broker. For example, owners can go online and sign up with a deep-discount or flat-fee service that will get them listed on their local Multiple Listing Service (MLS) at a modest cost. Getting on the MLS is crucial to most home sales of all types today; it opens the door for the property to be seen on giant marketing sites like Zillow, Realtor.com, Trulia and Redfin, among others. Since almost all home shoppers start their searches on the internet to check out what’s available, getting listed on the local MLS is essential. 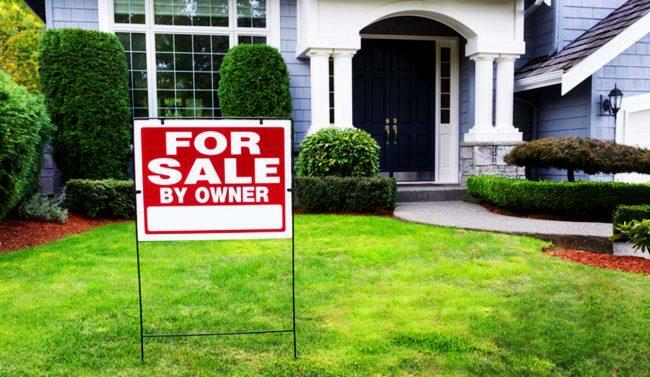 Flat-fee MLS sites such as FSBO.com, ByOwnerFlatMLS.com and others charge anywhere from $399.95 to $95 — sometimes even less — for connecting sellers to the wide audiences that are only possible via an MLS listing. Sellers can also choose among hundreds of discount-commission real-estate brokerages online to market their house. Some offer what they call “full service” representation for low, flat fees of anywhere from $2,000 to $3,000, or discount listing fees expressed as a percentage of the home price. For example, Redfin charges a 1 percent listing fee in many major markets (1.5 percent in others) and offers refunds of portions of the 2 percent to 3 percent commissions that listing contracts typically give agents who bring in buyers. Other limited-service brokerages charge flat fees or allow clients to pick the services they want — a la carte — and charge accordingly. But here’s what’s really happening today: For a variety of reasons, homeowners and buyers continue to make heavy use of real-estate agents — NAR says 87 percent of purchasers depended on agents last year. But they’re paying them lower and lower commission rates. Steve Murray, whose Colorado-based company Real Trends is considered the gold-standard source on commission rates and realty brokerage finances, told me last week that average commissions are dropping below 5 percent. That means that in an evenly split arrangement of fees between the listing agent and the selling agent in a market where 6 percent is the “standard” fee, the average commission is already at or slightly below 2.5 percent for each side — and slipping downward. Bottom line: FSBOs may be fading, but so are average commission rates. That makes sense given today’s high home prices compared with years earlier. Back in 1981, when average commission rates were near 7 percent, the median home price in the U.S. was around $70,000; today it’s more than $265,000.